Welcome to the Leadership Institute! Providing education, experience, and empowerment to develop leadership. The Washburn University Leadership Institute strives to produce the ideal Washburn Leadership Experience. This approach provides the education, experience and empowerment for all students to understand, practice and refine their leadership talents and skills. Leaders are people who move through their lives with intention. People who seek to make a change. People who want to make a difference - in fact must make a difference. People who believe good judgment comes from experience and experience comes from poor judgment. They are the people who live with a restless agitation as they seek to understand their abilities and affect change. They are the people who understand their integral web and the power of each connection. And they are the people who knowthey are the change they seek. These people are the students and alumni of the Washburn Leadership Institute. To further develop students into ethical and intentional leaders who value diversity and are prepared to immediately exercise effective leadership in today's changing society by cultivating the study of leadership and facilitating transformational learning experiences designed to challenge, motivate, and inspire. To establish an innovative platform for leadership education that is recognized as a pioneering model for leadership development. Scholarship applications for incoming students will be available in early Fall 2018. Applications for current students will be available in early Fall 2018. 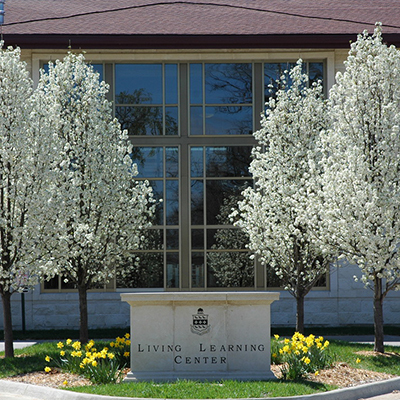 The Leadership Learning Community is located in the 3rd South hall of the Living Learning Center and consists of 40 students who are passionate and excited about the study and practice of leadership. Students living in the community will be offered exclusive leadership opportunities to engage with campus and community members, attend outside programs and events related to leadership, and will be mentored by a Leadership Institute student who will serve as the Learning Community Resident Assistant. All students in the Community will be enrolled in the same section of LE100: Exploring Concepts of Leadership. Students have the opportunity to develop leadership through a variety of academic programs at the undergraduate level by taking courses for General Education credit, earning a Leadership Studies Minor or Certificate, or by earning the Leadership Washburn Transformational Experience (WTE). Students seeking opportunities at the graduate level should consider a Master of Arts in Communication and Leadership. Learn more about these opportunities below! The Leadership Studies Minor and Certificate programs require 12 credit hours of Leadership core curriculum, including three multidisciplinary leadership courses (plus two additional electives for students earning the Minor). To obtain a Leadership WTE, students must complete a 3-credit leadership course plus a change project under the supervision of a faculty mentor. Earn an extra credential on your final transcript and special recognition at graduation. 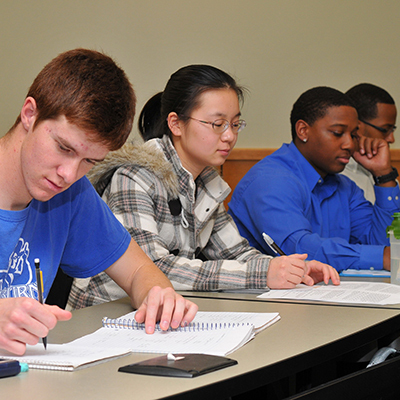 This 30 graduate credit hour, interdisciplinary program is designed for working professionals. Experience a dynamic online learning-environment grounded in the more than 150 year history and tradition of excellence at Washburn University. Are you interested in honing your leadership skills outside of the classroom? Participate in the Leadership Institute's many co-curricular leadership experiences to put your leadership knowledge into practice. Apply to be a member of our Student Leadership Council or volunteer on a project team. Attend a Leadership Lab in the community or travel to a leadership conference. Help us facilitate two of our signature events, the Leadership Challenge Event™ or the High School Leadership Academy. We have opportunities for EVERYONE. February 7 - Student Leadership Council Mtg.